Moscow’s Tretyakov Gallery is harnessing blockchain technology to power a new app that digitises its entire collection of more than 190,000 objects and encourages the public to sponsor them. In what is being described as a “new form of public involvement in art”, the My Tretyakov app invites each user to become a patron of a work and to build their own online collections. Donors can either sponsor a work personally or give digital patronage to someone as a gift. The director of the Tretyakov, Zelfira Tregulova, presented the initiative at the seventh St Petersburg International Cultural Forum in November. The system is being created with the help of business innovation collective RDI Digital and the Austrian blockchain interface solutions company Riddle & Code. Blockchain technology will ensure the safety and reliability of the donations, while also storing each entry in an online database. After a donation has been made, the system will match the user to a randomly chosen work from the collection. Each time that work is shown in digital form, they can opt to be mentioned as its sponsor. 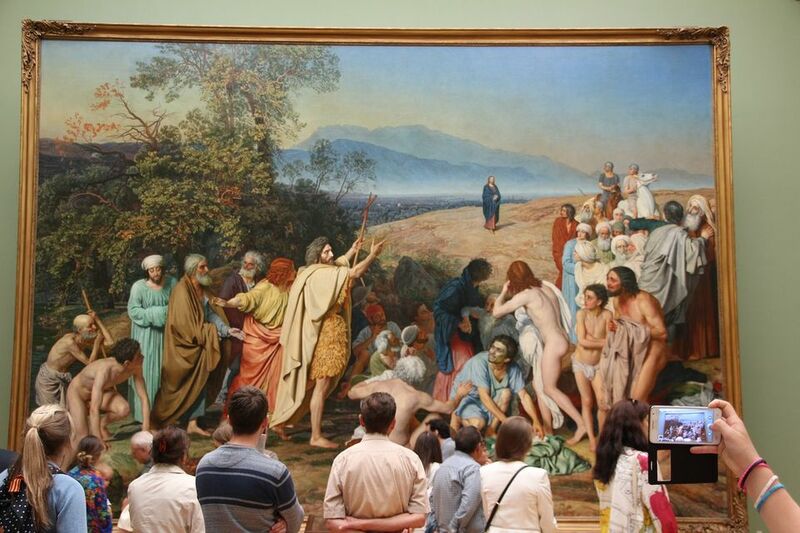 The Tretyakov Gallery is still deciding on the minimum donation required to participate. Together with digital tokens to “buy” patronage, each user will receive some incentivising tokens to spend on exclusive programmes, exchange for discounts at the gallery gift shop or for participation in the Tretyakov’s educational programmes. “This particular technology is the first of its kind in Russia, and as far as we know, in the world,” a gallery spokeswoman says. She adds that as museums become increasingly digital, the use of blockchain will be paramount in securely storing “information about the authenticity of any object and its owner and provenance”. Anyone interested in the My Tretyakov project can sign up online and get a notification when it is launched. A date is yet to be confirmed.